Infinite Minigolf is a never-ending minigolf experience! Take part in tournaments and challenges, use arcade-style powerups, and experience unique gameplay, great graphics and more. Use the game’s robust toolset to create amazing minigolf courses and share them with the community, showcasing your abilities to other players. Also, see your built courses in dazzling VR using a PSVR headset! Create and play an unlimited amount of minigolf courses on PlayStation®4 and PSVR! Create and play on an unlimited amount of minigolf courses in Infinite Minigolf, a never-ending minigolf experience from the experts at Zen Studios! Take part in competitive tournaments and challenges, unlock and utilize powerups, and experience unique gameplay, amazing graphics, and more wrapped up in the coolest minigolf game available. 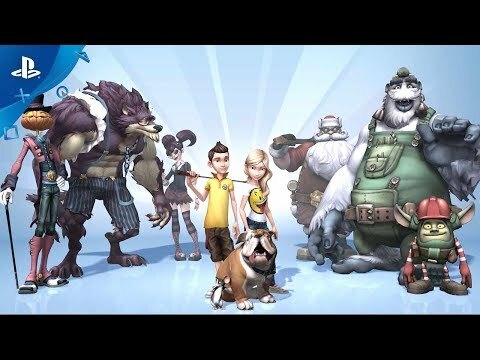 If you were playing games on PlayStation Network back in 2010, you might remember a game called Planet Minigolf, from Zen Studios. We did a lot of really cool things with that game for that day and age – we were able to pull off one of the first open betas on PSN, we allowed users to create content and then share with the community, and we were one of the first games to allow game footage to be uploaded directly to YouTube. Zen would like to send a big THANK YOU, to everyone who played Planet Minigolf. An even BIGGER thank you goes out to all the players who took time to send us feedback and ideas over the years, which has helped to make an even better minigolf game with many new features, and supporting amazing PSVR! Infinite Minigolf is a game designed in large part by the PlayStation community, full of your game-changing ideas, feedback and suggestions, and designed to never end. How can a game never end? Well, for starters, we are giving you easy-to-use tools that allow you to create and share unlimited courses. We heard your feedback regarding the original course editor and have made significant upgrades. The toolset in Infinite Minigolf is easier to use, intuitive and you have a LOT more options. Stylized tiles, beautifully crafted objects that affect gameplay and allow you to play tricks on players are all included here. Also – a way to find the best courses! Planet Minigolf players probably remember the massive shared library, over 80,000 (!!!!) holes. The challenge was finding the best or newest or wackiest or…yeah, we get it. The hole browser feature will help you find what you are looking for, no problem! Next, take all these user-created courses and apply a fun local and online multiplayer system, so you can all play together. Multiplayer is a huge focus in Infinite Minigolf, and we are supporting 8-player matchups. There are many other very cool features such as power-ups, unlockable rewards and more - we truly hope you enjoy the game! Infinite Minigolf has a lot of different modes for you to experience, but the basic gameplay revolves around hitting the ball into the hole with the least amount of hits. Of course, there are a bunch of fun power-ups that help you perform trick shots and pick up score-boosting gems along the way. Try these out and see if you can get the highest score possible! Check out the course creator tools and let your imagination run wild! These easy-to-use tools will have you creating and sharing courses with the community in no time. 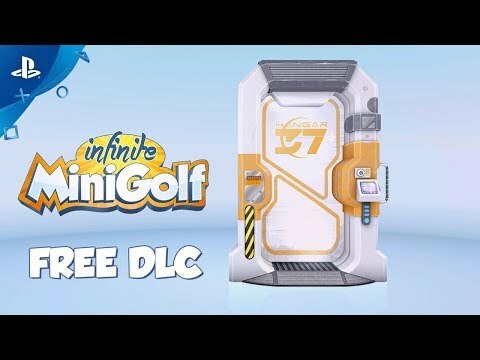 Play Infinite Minigolf in stunning VR with PlayStation VR! Environments spring to life in exciting ways, making Infinite Minigolf the definitive VR golf experience. Build your creations and tour them in stunning VR like never before! See Infinite Minigolf in Action! Infinite Minigolf' is a trademark of Zen Studios Ltd. © 2017 Zen Studios Ltd. All Rights Reserved.